Dimensions: Remove This Item 6 5/8" x 10"
2 15/32" x 3 7/16"
3 1/2" x 5 7/16"
3 7/16" x 4 15/16"
3 7/8" x 7 1/4"
4 1/8" x 9 1/8"
4 5/8" x 6 3/16"
5 1/4" x 10 1/2"
6 1/4" x 12 1/2"
6 1/8" x 8 3/4"
6 3/16" x 9 1/4"
From holiday greetings to birthday party invitation envelopes and everything in between, there are so many reasons to send out eye-catching specialty cards. Families and friends love to receive invitation and greeting cards that boast a unique and personal touch. These cards often end up as treasured keepsakes that are proudly displayed in one’s home or kept safe in a special place. At Announcement Converters, we provide customers with a wide variety of specialty folders and cards that are perfect for all your invitation needs. While the message behind the invite, announcement, thank you card, etc., and how it’s displayed are very important, Announcement Converters believes that the combination of color, texture, and size are equally essential as the print and copy itself. With these elements combined, your recipients are sure to be in awe with the lovely specialty card that you sent. To help you bring your greeting card or invitation to life, Announcement Converters has a plethora of specialty folders and cards to choose from. 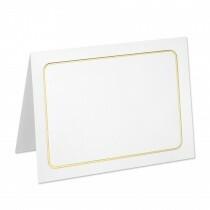 For example, we offer customers the Classic Crest #80 in Natural White Savannah with an elegant gold foil border. With a smooth, enhancing surface, the Classic Crest #80 is a wonderful option for luxury invites. 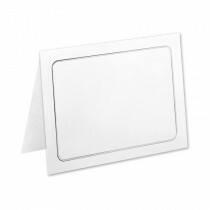 Or, for something more bold and dazzling, Announcement Converters offers our Stardream #105 Color Vista Bevel Panel Cards. This unique specialty card features bright and metallic colors that can serve for multiple applications--especially for fun birthday party invites. 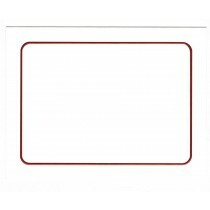 Announcement Converters has countless styles, sizes, textures, colors, and designs in both specialty folders and cards that are ready for immediate shipping upon your request. Shop our extensive collection today and find the perfect specialty cards for all your greeting and invitation needs.